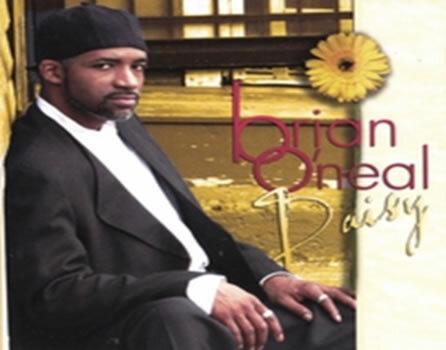 As an artist who has flourished in the comfort of Jazz, the Top 40s, R&B, and Pop, pianist Brian O'Neal exudes the versatility of a uniquely upbeat, smooth style that compliments today’s "New Jazz”. He brings an exciting and uninhibited sound to the world of jazz, making it a creative challenge for many to categorize his music. O’Neal attracts an eager following and commands the respect of his listeners domestically and abroad. "I don't listen to the radio often out of respect for my craft. I don't want to taint my vision of music with that of which we hear everyday. By shutting myself out of the listening audience, I'm not apt to emulate any sound you've heard before." O'Neal says to WFSK 88.1FM's DJ Sharon Kay. O’Neal was born July 5, 1965, in Detroit, MI. He first discovered his passion for music at the age of six when he took his first drum lesson. Although Brian (known to his friends as "Bean") learned to play many instruments, including the saxophone, bass, and trombone; he aspired to be a professional drummer. That is until his junior year in high school, when he was asked by his band teacher to fill in on the piano for the band’s performance. Brian instantly became mesmerized with the idea of mastering such a magnificent and gentle instrument. His grandmother, "Daisy O'Neal", noticed how excited he was about playing, then bought him his first piano. O'Neal's passion for the ivories increased as he experimented with various melodies and chords; resulting in the rapid maturing of his skill. 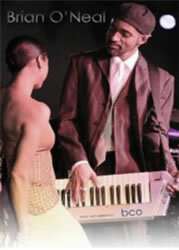 As a self taught Pianist, he later received a full musical to scholarship to Alcorn State University. Brian’s talents then soared into the world of jingles, working with companies such as the McDonald's Corporation. His love for movies and children inspired him to compose film scores for youthful audiences around the country. In the (early/mid 80’s), as he explored his musical talent, Brian began touring with several Rock & Top 40 Bands, the Atlanta based jazz band "Take Notes" and several Contemporary Jazz/R&B artists; some of which he served as their Assistant Music Director. O'Neal's love for music led him to share his talent by mentoring other aspiring artists, such as Universal/Motown® recording artist Kem, who has become a national Jazz/R&B sensation. O'Neal has shared the stage with many great musicians over the past two decades including: Will Downing, Morris Day and the Time, India Arie, Ledisi, Fantasia, Angela Bofill, Stevie Wonder, Maze (featuring Frankie Beverly), Alex Bugnon, George Duke, Pieces of a Dream, Chaka Kahn, Najee, Kindred the Family Soul, and Jeff Lorber. He has also composed and produced music for several artists abroad; including UNV, Kathy Avalon, Eddie Oliver and a host of other upcoming talents. 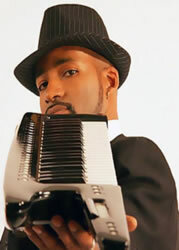 Several of O’Neal’s accolades include being a Detroit Music Awards “Most Outstanding Composition” nominee, Mesmerized© won best song on OurStage.com, he has hailed the #1 spot on My Space charts for several months and most recently, two of his songs were selected for the play on the National Weather Channel. O'Neal's musical influences include such legends as Herbie Hancock, Pat Matheny, Prince and the great Stevie Wonder. These celebrated artists helped mold and guide his desire to pursue a career as a professional musician. As a writer, producer, composer and performer, he has a gentle and natural mastery for creating a musical oasis for his listeners. Brian O'Neal is truly a talented (and humble) musician. He stimulates your inner appetite with melodic rhythms, and soothes your emotions with the vibrations of each instrument.